There was a time when the thought of the C-Suite setting foot anywhere near a social network was the stuff of myth and legend. How times have changed! CEO sociability is on the rise, and it’s proving more valuable than ever. The social CEO is no longer viewed as a rarity, but as a strong force for building thought leadership within his or her own company and industry. Maybe you’re a CEO who believes it’s finally time you rev up your social media engine, but you’re unsure where to start. Or perhaps you already have established social profiles but want a better grasp on how to make the most of your social media presence. Or maybe you just don’t think you have the time to make it happen. Luckily, we think you’ll be well on your way in just 10 minutes or less each day. In this post, we’re sharing Tier One’s guide for the social CEO. We’ll take an in-depth look at three good social “starter” platforms -- LinkedIn, Twitter, and Facebook -- and share tips to get you started, extend what you’re already doing, and effectively manage your time online. Building a social media presence seems simple enough, and being able to maximize on that presence follows suit. This will mean very different things across platforms, so taking a close look at each individual site is crucial. Most importantly, connect with others and grow your network. A good rule of thumb is to post twice weekly to LinkedIn. Share company news, interesting articles, press releases, etc., and be certain to include your own thoughts. People want to know what you think, that’s why they’re following you. And if you’re talking about a particular person or company, tag them. This will alert those whom you’ve tagged and expand the reach of your posts. Sharing doesn’t have to stop with posts from your profile: LinkedIn has a number of options for sharing content with other professionals. 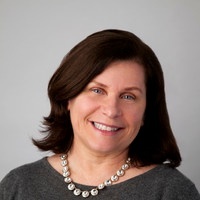 Engage in LinkedIn Groups for a direct way to connect with like-minded professionals. Long-form posts on Pulse (similar to a traditional blog post) are effective for building thought leadership. Feel free to repurpose blog content here, but be sure to share the link to the original post. Always look for ways to re-direct readers to your site. While LinkedIn is familiar territory for many CEOs, Twitter can be a very foreign experience. When getting more involved on Twitter, don’t be afraid to show the Twittersphere your personality. 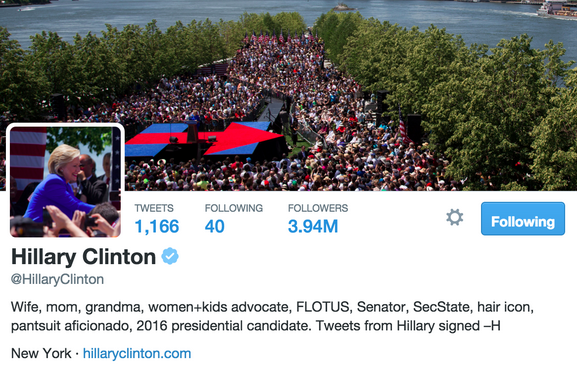 When it comes to your profile and banner image, have fun with it. 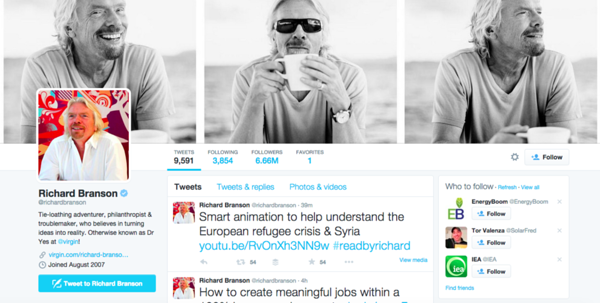 Virgin CEO Richard Branson is known for his adventurous spirit and that’s clearly reflected in his profile -- from the info in his bio down to the images he uses. When it comes to tweeting, Twitter is all about engaging in conversation. Comment on current events, share blog posts, articles, and press releases, tag other accounts, use hashtags, and retweet your company’s account and news. Share what interests you and what you think will interest your followers. Get things down to a science using this formula, and scroll through profiles of other CEOs to see what steps they’re taking to interact with their followers. For another example of social CEO prowess, you need look no further than the CEO of Tier One client TradeKing, Don Montanaro (who incidentally was one of the nominees for CSM Social Media Leader of the Year Award). Don tweets nearly every day, and sometimes multiple times a day, and is adept at tagging relevant accounts and hashtags. But what makes Don socially successful is the personality and expertise that shines through. Another example of Twitter done right? Tesla CEO Elon Musk. 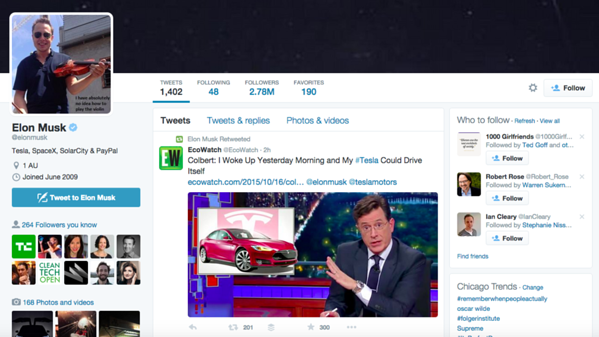 You’ll see re-tweets of Tesla news (like on The Late Show with Stephen Colbert), blog posts written by Tesla employees, and Musk’s own company announcements -- all good things to share! 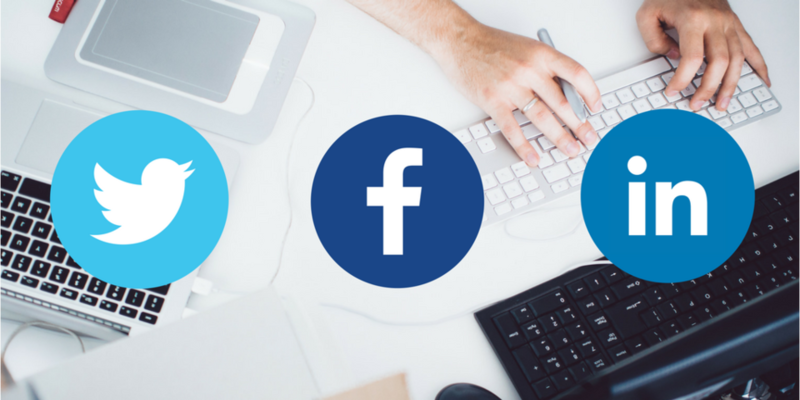 If your organization’s target audience is strong on Facebook, you’ll want to be there, too. Luckily, there are options beyond making all of your personal Facebook profile’s content public. Creating a public figure page can be a good alternative since these pages work just like any other. Followers can “like” your public figure page and still receive updates from you. This option offers the ability to maintain a professional page while still managing a personal profile. As always, let the page reflect who you are with quality images, links to other professional sites, and a brief bio. 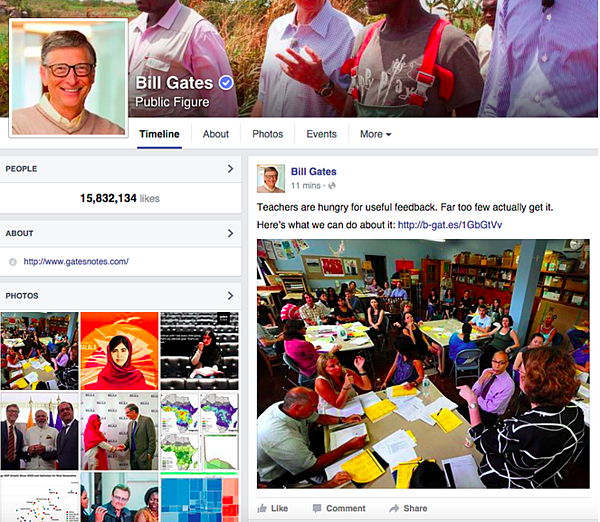 Bill Gates’ public figure page is a great example of a page where images are both visually pleasing and engaging. His profile picture is inviting, and the photos he uses in his posts (seen as thumbnails on the left) are colorful and representative of himself, his company, and his interests. “Like” his page to see Facebook done right. The concern we hear most often from CEOs when it comes to social is finding the time. It’s true, social can be time consuming, but not if you’re smart about it. Remember, slow and steady wins the race. Don’t burn yourself out by believing you have to post every hour on the hour. Start small. Set aside a block of time to focus on social media. We mentioned before that 10 minutes of time daily dedicated to responding to messages and engaging with followers will go a long way when building a social media habit. Once you’re in the habit, find your influencers and follow them. These are the people sharing content relevant with you, and sharing it well. Social listening via Twitter or social media management tools (mentioned below) will help you find keywords that will help you find other relevant conversations. And finally, start building your audience. Leverage your built-in audience first by sending an email to your employees and contacts announcing which social media channels you’re on and providing links to those. Make it clear what you’ll be posting about and the benefits people will find by following you. We know your time is limited. 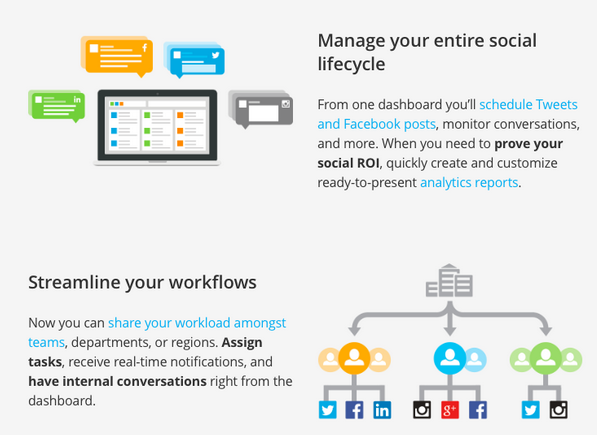 Social media management tools like Hootsuite and Buffer will aid in making the most of that time. These tools allow you to listen, post, and schedule future posts, all from one place. On Hootsuite, you can easily set up streams on your dashboard and search for the keywords or followers you want to stayed tuned into. Buffer has the added bonus of an algorithm that determines the best times for you to share and also allows you to schedule retweets without altering the format. Both tools easily make it seem like you’ve spent hours online when in reality you’ve only spent mere minutes. Yes, increasing your presence on social media and building an audience can seem like a daunting task. Don’t let that worry keep you on the sidelines. When starting out, use your time to focus on one or two social platforms you think your audience will engage with the most. Pay attention to building a solid presence and routine on those platforms. Define your social goals, create an outline that suits you, and just get started. With a little time and attention, you’ll begin to see your pages flourish - along with your organization’s thought leadership.